Today I'm painting sunflowers along a winding roading through a little village. Summer scenes have never been my forte. I've always been more inspired by snow scenes, Christmas, autumn leaves, but generally not spring or summer. But, today, kids playing outside, bikes, swings, flowers, aprons hanging from a clothesline and gently blowing in the breeze have been guiding my brush through this new scene. 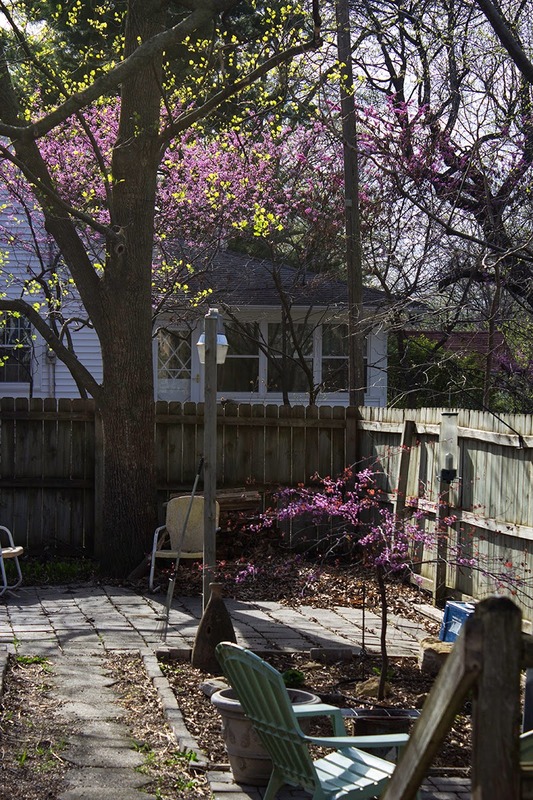 As I got up from my table I was greeted by the sun shining through the trees and making the chartreuse green of the budding leaves and the lavender shades of the redbud blooms contrast against the dark shadows. This has always been one of my favorite color combinations! This is God speaking to me through the mess of leaves piled up and needing to be bagged. Today I was able to see the beauty through the mess. 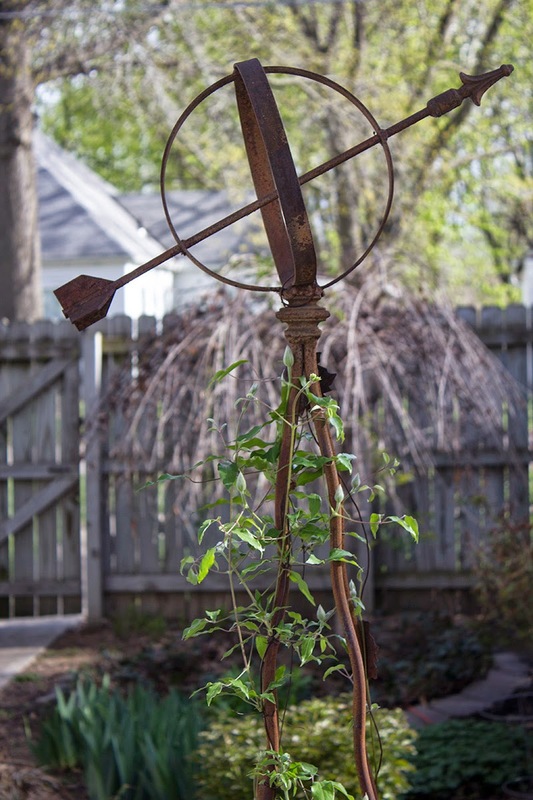 I can see the beauty of His creation in the clematis vines with the buds soon to bloom. Sometimes it's hard to see the beauty for the mess of weeds and dead branches, but if we look close enough it's there. 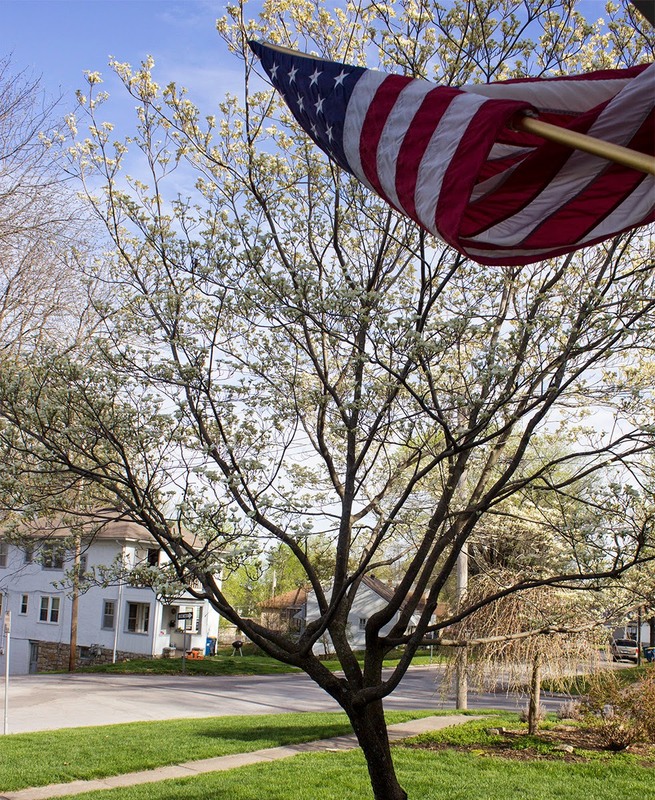 Yes, there are weeds to pull in my front corner flower bed, but I focused instead on the blooming dogwood tree in contrast with the red, white, and blue of the flag, I see the beauty. 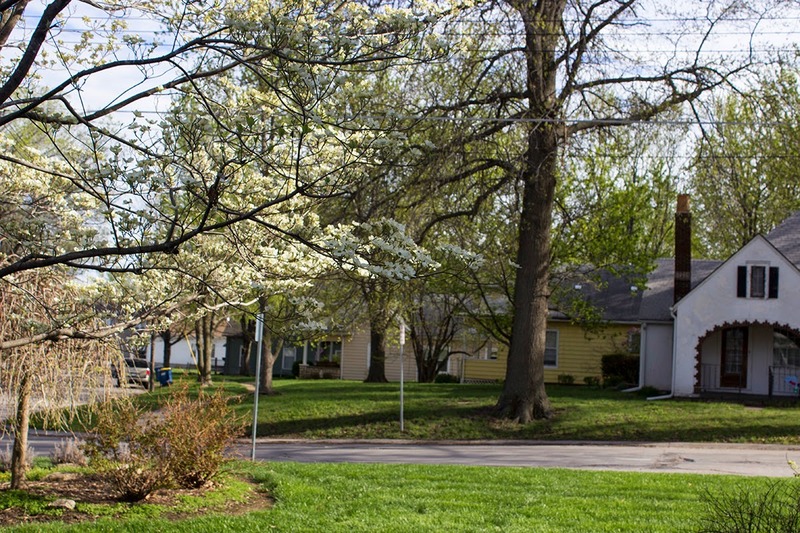 I love my dogwood tree and it's lovely creamy white blooms and my neighbor's little white cottage. 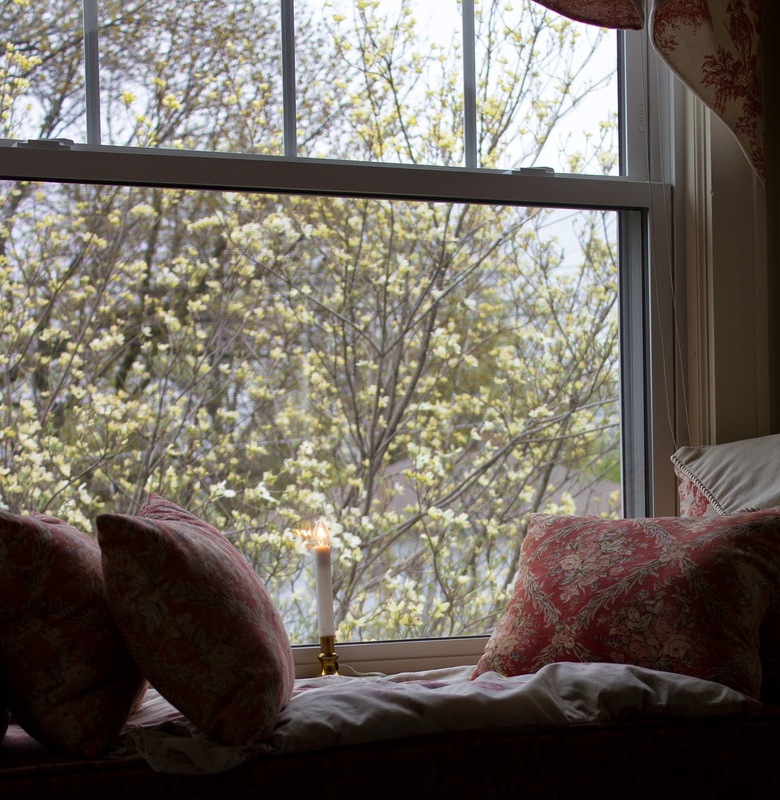 Here is a view of the dogwood from the window seat in my bedroom. His beauty is all around us if we pay attention, even in the middle of our messes.